Day 1 of SXSW Interactive started out with rain. Everyone piled into the convention center to dry off and attend the first sessions of the event. The Samsung Blogger lounge opened and I met Brian Solis who gave me a copy of #WTF. 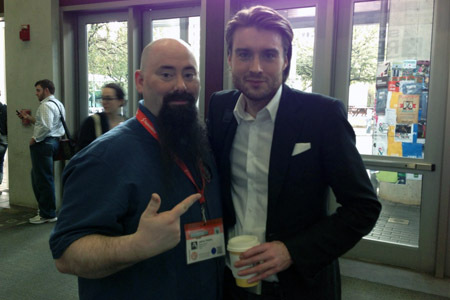 While going from session to session, I ran into Pete Cashmore of Mashable. We had a brief but great conversation. 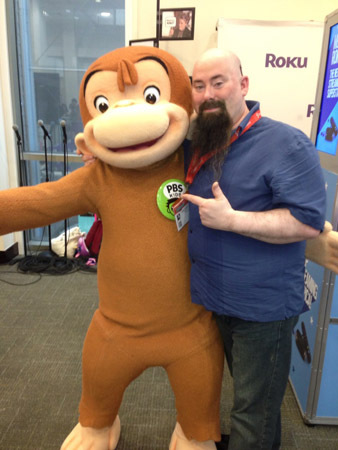 I got to stop by the Roku – PBS booth where I not only learned about the new Roku 3 but also the 2 new channels from PBS on Roku. You will now be able to watch local public programming or shows like Downton Abbey. I then went to a couple events including Toys for Techies where I enjoyed some cool innovations. Finally I stopped outside the convention center to see the maker-booths. From 3D printers to banana piano keyboards. In the front was a sculpture of a funnel cloud computer data model. 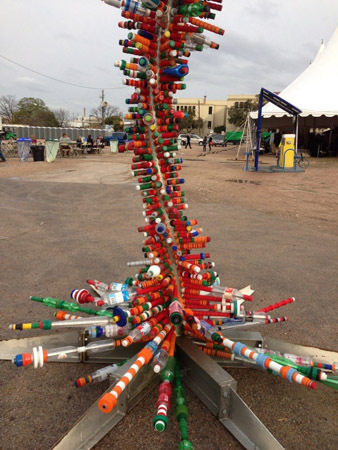 It was made with plastic bottles and caps to represent not only a funnel cloud but the green movement in Austin. The evening started out at the #140Conf – Jeff Pulver’s conference at the Lanai. Then it’s off to Speakeasy for a great band and meetup with old friends. We finally ended up at the TechSet meetup where we stood on the balcony watching the shenanigans of 6th street.